Not only is the barbeque out of this world, it’s also extremely affordable. Grab a seat inside, outside or pick your order up to-go by calling (904) 531-5670. 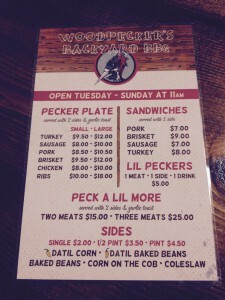 Make sure to like them on Facebook, too – https://www.facebook.com/woodpeckersbackyardbbq.